Johannesburg is a city pulsating with the rhythm of not just South Africa, but an entire continent. This electric energy is one of the first things you will feel when you touch down at OR Tambo airport. From the city’s urban heartbeat to its unique city scapes and bustling brew of inviting adventures, there is so much to experience in Joburg. The good news is, you can explore so much for under R200 or U$D16. Arrange your OR Tambo airport transfers around some of these activities. There are numerous service providers arranging quality, comfortable and affordable airport transfers in OR Tambo to your destination and beyond. The rates for OR Tambo airport transfers differ from provider to provider and can be based on a set fee for predetermined routes, or a route of your choosing, or per day or per hour. Many companies providing airport transfers in OR Tambo also operate on a pay per kilometre basis, and accept a number of payment methods. When paying in cash, always use rands, as the local forex rules are very strict. A taxi driver would not easily be able to change dollar or euros at the airport without proof of having left the country or planning to do so. Usually, the proof required would be in the form of an airplane ticket. The amount of forex being changed would also be tallied against the stated amount that was proven to have been taken out of the country by the relevant person. Always head straight to the exchange bureaus at the airport so you have rands at the ready. If you want to opt for car rental at Johannesburg airport, try to book before the time to make sure your desired model is available, and remember to produce a valid driver’s licence. This is one of the best ways to see Joburg at a glance. The R180-day ticket gets you a one-day pass but there are two- and four-day passes also available. The price is for a single entry to all the attractions on any given day. The top deck of the bus is open to enable easy viewing and picture-taking. The tour guides are proficient in more than ten languages, ensuring there are no communication barriers. Collection points are public and safe and there have been no reported incidences of things going wrong on these tours. When arranging your airport transfers in OR Tambo, remember that you can also join the bus at any point, so can pick up your ticket at the tourism desk at the airport and go straight to the nearest collection point. You could of course book OR Tambo airport transfers to see some of these highlights independently or return for a more in-depth exploration. The city tour itself is a bestseller. However, you can switch to the Green Tour at Constitution Hill (stop five). Similarly, it is possible for you to switch tours at other points. The City Tour and Soweto combo is also immensely popular. The City Tour highlights include stops at Carlton Centre, the Apartheid Museum, SAB World of Beer in Newton, and Constitution Hill, The James Hall Museum of Transport, The Origins centre at Wits, and much more. Moyo is your unique African dining experience, and the face painting is always a highlight. Enjoy your meal to the sounds of marimba bands in the background as you feast on local favourites such as South African stews and barbeques. While the buffet price can be steep, you could enjoy the ambience by sitting down for a starter, or sipping a cocktail on the deck. Remember that it is situated in a green park environment, so you can relax while the kids play around. If you’re in the centre of Joburg, OR Tambo airport transfers can have you at Zoo Lake in fifteen minutes. If you’re heading there straight from the airport, factor in about thirty minutes. Forget Disney’s The Lion King, as this is the real thing. Costs for adult are R200 per head. There are eighty-five lions so up-close viewing encounters with them will happen. Cheetah, wild dogs and hyenas are just some of the other animals you are likely to see. The Lion Park is highly rated as an international tourist destination and is a great way to feel like you’ve been on safari without having to fork out for it! Most airport transfers from OR Tambo can have you at the park in about ninety minutes. This one’s mainly for the shopaholics or for entertainment for the whole family. 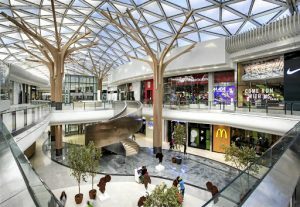 OR Tambo airport transfers can have you at SA’s biggest mall, situated in Waterfall City, in about thirty minutes. The mall is home to all the hippest, grandest restaurant chains – this is where every new brand that wants to make in impact opens. It is also home to the best of SA retail, and more designer brands than anywhere else locally. A brilliant place to do some last-minute shopping before heading back. The Mall is open to 9pm on weekends, and you’ll also have no problem booking airport transfers in OR Tambo from the mall to the airport. This is indoor entertainment at its best. 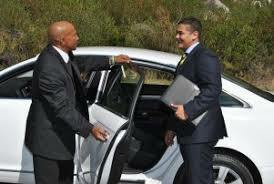 Book an airport transfer in Johannesburg that’s private and you’ll be there in fifty minutes. Much more than a place to gamble, Montecasino is also home to some of the best local stand-up comedy on offer, movies, the theatre, dinner in the sky and a host of other entertainment options. Best of all, entrance is free! You’ll always be able to book an airport transfer in Johannesburg that’s private from Montecasino to the airport no matter the hour. 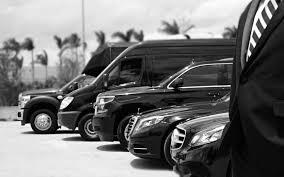 Many an airport transfer in Johannesburg that’s private can be booked online at all hours, with Uber-style rates and payment methods applying. Happy hopping around this exciting African city and being a part of its distinctly urban heartbeat!